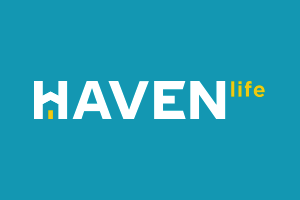 NEW YORK, New York - Montoux, an insurance SaaS provider, has today announced a strategic partnership with innovative online life insurance agency Haven Life. Following Montoux’s success with prominent insurers recently in the Asia-Pacific region, the company is excited to now be launching their actuarial pricing and optimization platform in the United States. As an early adopter, Haven Life is helping to localize Montoux’s software for the US market. Backed and wholly owned by MassMutual, a leading insurer founded more than 160 years ago, Haven Life is able to offer customers the long-view confidence of a financially secure insurer while also providing a new, streamlined approach to purchasing a life insurance policy. As such a forward thinker and recognized industry leader, Haven Life is extremely well aligned with Montoux’s vision and values. Montoux’s pricing software enables businesses like Haven Life to use actuarial insights to their maximum advantage, optimizing pricing and enabling the significant increase of speed to market. The platform will be showcased during the upcoming 2017 Society of Actuaries Annual Conference, October 15-18 at the Hynes Convention Center in Boston, MA. Montoux provides a smarter, faster way to price life insurance products. Since being founded in 2012, Montoux’s solution is proven with prominent insurers across Asia-Pacific, and is now set to change the way insurance companies innovate in North America — for the better.